It’s that time of year where we all are eager for the warmer weather and the flowers to bloom, it’s also an exciting time for our community to celebrate our wonderful planet. 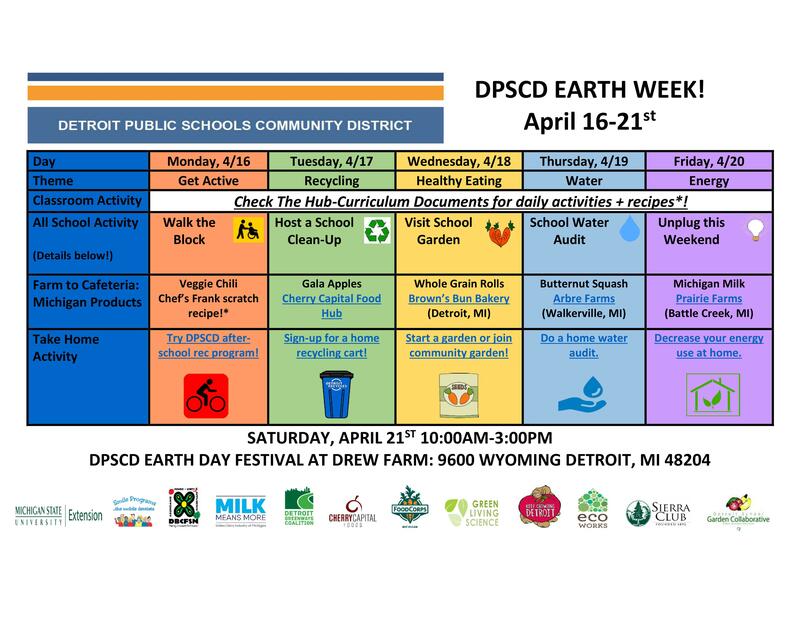 DPSCD is excited to announce and celebrate Earth Week which occurs from Monday, April 16 through Friday, April 20. Coordinated by DPSCD’s Office of School Nutrition, students and teachers will gather daily to celebrate our wonderful planet by participating in theme-based learning activities focusing on health and wellness and establishing sustainable environments. These themes include getting active, recycling, healthy eating, and water and energy conservation. See schedule below. After a week of focusing on making our planet better, DPSCD has marked Saturday, April 21 as the Earth Day Festival at Drew Farm. 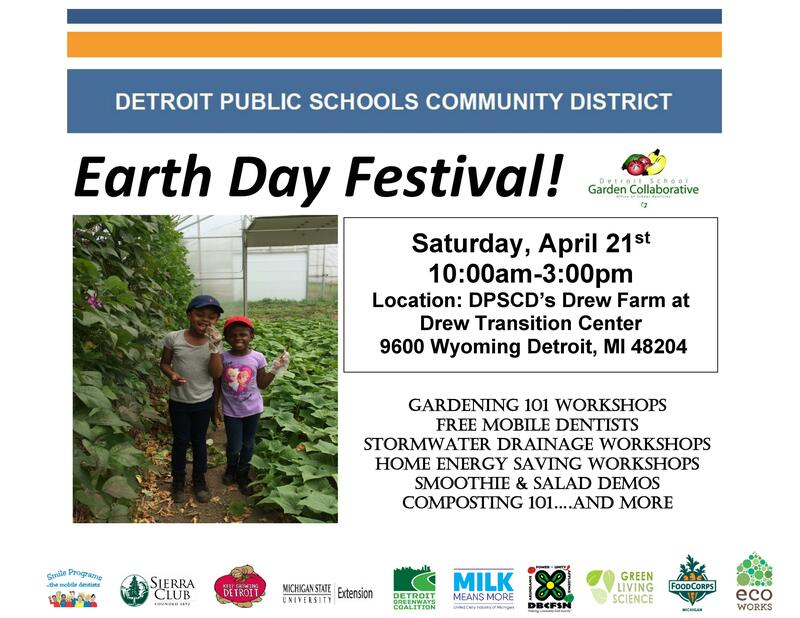 All DPSCD families are invited to the DPSCD Earth Day Festival at Drew Farm, located at Drew Transition Center on the corner of Wyoming and Chicago. This free event runs from 10 a.m.- 3 p.m. and will feature hands on workshops and activities focused on healthy living. Families will be able to tour Drew Farm, our district’s 2.5 acre food production farm site, enjoy fruit smoothies, and learn how to recycle and compost at home. See schedule below.